"A stunning debut-I can't believe it's her first novel-what a thrilling read! 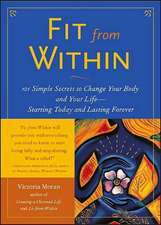 I found the whole book rich and compelling, exciting and haunting. Nefertiti is a fine creation, both appealing and frightening, and she's surrounded by a thoroughly satisfying cast of characters, too. The whole world of Anceient Egypt comes to life." 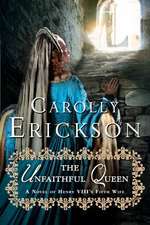 "There haven't been two more fascinating or outrageous siblings since the Boleyn sisters...Nefertiti is obsessive reading." "An engrossing page-turner, Nefertiti brings ancient Egypt to life as two royal sisters struggle to find fulfillment and happiness- one craving ultimate political power, the other desiring only to follow her heart. A strong debut novel of passion and intrigue, Nefertiti kept me up way too late!" "A provocative portrait of limitless power in an ancient land of limitless fascination." "Though sometimes big events are telegraphed, Moran, who lives in California and is making her U.S. debut, gets the details just right, and there are still plenty of surprises in an epic that brings an ancient world to life." "Beautifully written and completely engrossing, this first novel should enjoy wide readership." 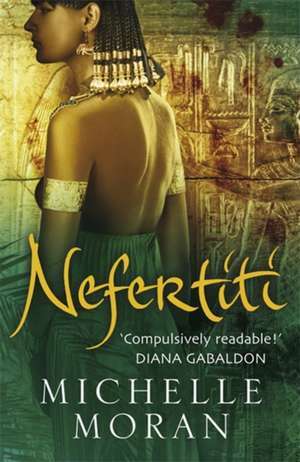 "A wonderful, beautifully written, and well researched novel, Nefertiti is a page-turner filled with amazing visuals of a dazzling historical period." MICHELLE MORAN lives in California with her husband and a garden of more than two hundred kinds of roses. Visit her at www.MichelleMoran.com. WHEN THE SUN set over Thebes, splaying its last rays over the limestone cliffs, we walked in a long procession across the sand. In the twisting line that threaded between the hills, the viziers of Upper and Lower Egypt came first, then the priests of Amun, followed by hundreds of mourners. The sand cooled rapidly in the shadows. I could feel the grains between the toes of my sandals, and when the wind blew under my thin linen robe, I shivered. I stepped out of line so I could see the sarcophagus, carried on a sledge by a team of oxen so the people of Egypt would know how wealthy and great our crown prince had been. Nefertiti would be jealous that she’d had to miss this. I will tell her all about it when I get home, I thought. If she is being nice to me. A wind echoed between the cliffs, and I thought I could hear the rush of the falcon’s wings as the crown prince was freed from his body and ascended to the sky. There was a great amount of shuffling, children looking around the legs of their parents to see the new prince. I, too, craned my neck. “In the tomb,” my father replied. His bald head shone dully in the setting sun, and in the deepening of the shadows his face appeared hawkish. “But doesn’t he want the people to see him?” I asked. He clenched his jaw. “The coregency,” he replied. When the ceremony was finished, soldiers spread out to stop commoners from following us into the valley, and our small party was expected to walk on alone. Behind us, the team of oxen heaved, pulling their golden cargo across the sand. Around us, cliffs rose against the darkening sky. “We will be climbing,” my father warned, and my mother paled slightly. We were cats, she and I, frightened of places we couldn’t understand, valleys whose sleeping Pharaohs watched from secret chambers. Nefertiti would have crossed this valley without pause, a falcon in her fearlessness, just like our father. We walked to the eerie rattle of the sistrums, and I watched my golden sandals reflect the dying light. As we ascended the cliffs, I stopped to look down over the land. We trudged onward through the hills while the animals snorted their way up the rocks. The priests went before us now, carrying torches to light our way as we walked. Then the High Priest hesitated, and I wondered if he’d lost his bearing in the night. “Untie the sarcophagus and free the oxen,” he commanded, and I saw, carved into the face of the cliff, the entrance to the tomb. Children shifted in their beads and women’s bangles clinked together as they passed each other looks. Then I saw the narrow staircase leading down into the earth and understood their fear. “I don’t like this,” my mother whispered. The priests relieved the oxen of their burden, heaving the gilded sarcophagus onto their backs. Then my father squeezed my hand to give me courage and we followed our dead prince into his chamber, out of the dying sun and into total darkness. Carefully, so as not to slip on the rocks, we descended into the slick bowels of the earth, staying close to the priests and their reed-dipped torches. Inside the tomb, the light cast shadows across the painted scenes of Tuthmosis’s twenty years in Egypt. There were women dancing, wealthy noblemen hunting, Queen Tiye serving her eldest son honeyed lotus and wine. I pressed my mother’s hand for comfort, and when she said nothing, I knew she was offering up silent prayers to Amun. Below us, the heavy air grew dank and the smell of the tomb became that of shifted earth. Images appeared and disappeared in the flickering torchlight: yellow painted women and laughing men, children floating lotus blossoms along the River Nile. But most fearsome was the blue-faced god of the underworld, holding the crook and flail of Egypt. “Osiris,” I whispered, but no one heard. Inside the empty chamber, Pharaoh and his queen stood side by side. In the light of the torches, it was impossible to see anything but their shadowy gures and the long sarcophagus of the departed prince. I stretched out my arms in obeisance and my aunt nodded solemnly at me, remembering my face from her infrequent visits to our family in Akhmim. My father never took Nefertiti or I into Thebes. He kept us away from the palace, from the intrigues and ostentation of the court. Now, in the flickering light of the tomb, I saw that the queen hadn’t changed in the six years since I had last seen her. She was still small and pale. Her light eyes appraised me as I held out my arms, and I wondered what she thought of my dark skin and unusual height. I straightened, and the High Priest of Amun opened the Book of the Dead, his voice intoning the words of dying mortals to the gods. I searched the chamber for Amunhotep the Younger. He was standing away from the sarcophagus and the canopic jars that would carry Tuthmosis’s organs to the Afterlife. He was taller than I was, handsome despite his light curling hair, and I wondered if we could expect great things from him when it was his brother who had always been meant to reign. He shifted toward a statue of the goddess Mut, and I remembered that Tuthmosis had been a cat lover in his life. With him would go his beloved Ta-Miw, wrapped inside her own miniature sarcophagus of gold. I touched my mother’s arm gently and she turned. “Did they kill her?” I whispered, and she followed my eyes to the little coffin beside the prince. Queen Tiye stepped forward. She knelt in the dirt, kissing each of the canopic jars in turn. Then Pharaoh did the same, and I saw him turn sharply, searching for his younger son in the darkness. “Come,” he commanded. His youngest son didn’t move. “Come!” he shouted, and his voice was magnified a hundred times in the chamber. No one breathed. I looked at my father, and he shook his head sternly. I covered my mouth, and for a moment I thought the Elder would move across the burial chamber to kill him. But Amunhotep was his only surviving son, the only legitimate heir to Egypt’s throne, and like every seventeen-year-old crown prince in our history, the people would expect to see him enthroned as coruler. The Elder would be Pharaoh of Lower Egypt and Thebes, and Amunhotep coregent of Upper Egypt from Memphis. If this son also died, the Elder’s line would be finished. The queen walked swiftly to where her youngest son stood. “You will bless your brother’s organs,” she commanded. “And so am I!” Amunhotep said wildly. When it was clear that Pharaoh would not take Amunhotep’s hand, my father moved forward to save the prince from embarrassment. “Let your brother be buried,” he suggested quietly. The look Amunhotep gave his father would have turned Anubis cold. It was only when we returned on barges across the Nile, with the waves to drown our voices, that anyone dared to speak. I wrapped my wool cloak around my shoulders. It wasn’t me he was talking about. It was my sister, Nefertiti. She left the words unspoken, but we all knew what she had meant to say. If it was Kiya, then Vizier Panahesi would have sway in Egypt. It would be easy and logical to make his daughter queen: Kiya was already married to Amunhotep and nearly three months pregnant with his child. But if she became Chief Wife, our family would bow to Panahesi’s, and that would be an unthinkable thing. My father shifted his weight on his cushion, brooding while the servants rowed north. “When Tuthmosis was alive! When there was stability and it looked as if Egypt would be ruled by...” My father closed his eyes. He opened his eyes. “The sun,” he replied, staring at my mother. There were thoughts passing between them, but no words. “And Aten is the sun itself,” he said. My mother threw a sharp glance at him. It was treason, what my father just said, but there was no one to hear it above the splash of the oars. Nefertiti was waiting for us. She was recovering from fever, but even so she was sitting in the garden, reclining by the lotus pool, the moonlight reflecting off her slender arms. She stood up as soon as she saw us, and I felt a sort of triumph that I had seen the prince’s funeral and she’d been too sick to go. Guilt swept this feeling away, however, when I saw the longing in her face. “What are you doing out of bed?” my mother scolded. She was not Nefertiti’s mother. She was only mine. Nefertiti’s mother had died when her daughter was two; she’d been a princess from Mitanni and my father’s first wife. She was the one who gave Nefertiti her name, which meant the Beautiful One Has Come. And though we were related, there was no comparing us: Nefertiti was small and bronze, with black hair, dark eyes, and cheekbones you could cup in the palm of your hand, whereas I am dark, with a narrow face that would never be picked out of a crowd. At birth, my mother didn’t name me for beauty. She called me Mutnodjmet, meaning Sweet Child of Goddess Mut. “Nefertiti should be in bed,” my father said. “She’s not feeling well.” And although it was my sister he should have been reprimanding, it was me to whom he spoke. “I’ll be fine,” Nefertiti promised. “See, I’m better already.” She smiled for him, and I turned to see my father’s reaction. Like always, he had a soft look for her.